The nature of yoga is discovered in doing. In essence, it is a non-verbal process, an inner journey to the true center of the soul, which is the source of all happiness and ultimately of union. Whether you practice yoga to relax, stretch, breathe, meditate, or simply because it's in fashion, you may not realize the numerous health benefits of yoga. Yoga can improve your health from head to toe. Here are some of yoga's many health benefits. Yoga has consistently been used to cure and prevent back pain by enhancing strength and flexibility. Both acute and long-term stress can lead to muscle tension and back problems. Regular yoga practice creates mental clarity and calmness, increases body awareness, relieves chronic stress patterns, relaxes the mind, centers attention and sharpens concentration. 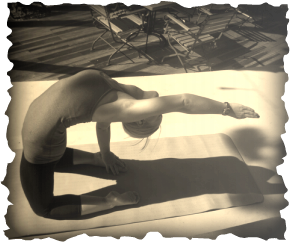 Yoga strives to increase self-awareness on both a physical and psychological level. Patients who study yoga learn to induce relaxation and then to use the technique whenever pain appears. Practicing yoga can provide chronic pain sufferers with useful tools to actively cope with their pain and help counter feelings of helplessness and depression. A common technique used in yoga is breathing through one nostril at a time. Electroencephalogram (EEG) studies of the electrical impulses of the brain have shown that breathing through one nostril results in increased activity on the opposite side of the brain. Some experts suggest that the regular practice of breathing through one nostril may help improve communication between the right and left side of the brain. Studies have also shown that this increased brain activity is associated with better performance and doctors even suggest that yoga can enhance cognitive performance. When you achieve the yogic spirit, you can begin knowing yourself at peace. The value of discovering one's self and of enjoying one's self as is, begins a journey into being rather than doing. Life can then be lived practicing "yoga off the mat". Regular yoga practice can help in weight management. Firstly, some of the asanas stimulate sluggish glands to increase their hormonal secretions. The thyroid gland, especially, has a big effect on our weight because it affects body metabolism. There are several asanas, such as the shoulder stand and the fish posture, which are specific for the thyroid gland. Fat metabolism is also increased, so fat is converted to muscle and energy. This means that, as well as losing fat, you will have better muscle tone and a higher vitality level. Hatha Yoga is a path to body control through poses (asana) and breathing techniques (pranajama). This particular kind of Yoga focuses on movements and body postures, thus making it very suitable for relaxation. Some of the explanations of Yin Yoga are: "It`s the balancing practice for your yang style of yoga." or "It is yoga for the joints, not the muscles. Yin Yoga targets the connective tissues, such as the ligaments, bones and even the joints of the body that normally are not exercised very much in a more active style of asana practice. Suitable for almost all levels of students, Yin Yoga is a perfect complement to the dynamic and muscular (yang) styles of yoga that emphasize internal heat, and the lengthening and contracting of our muscles. The ancient self-help system of yoga promotes mental and physical well-being and balance, which is vital during the times of transition or uncertainty. Your experience of being pregnant and giving birth will involve great physical and emotional changes, and knowing how to use and adapt yoga techniques to breathe, move and relax during this time will help you to lay deep foundations for decades of mothering. Becoming a mother is a very personal adventure. Although your healthcare provider monitors your health and your baby`s growth, yoga brings a calm strength and inner balance that enables you to overcome whatever challenges lie ahead. As your baby grows, yoga is used to strengthen, tone and relax you, and make more space for your baby. STRESS RELIEF: By encouraging relaxation, yoga helps to lower the levels of stress hormone cortisol. Related benefits include lowering blood pressure and hart rate, improving digestion and boosting the immune system. BETTER BREATHING: Yoga teaches people to take slower, deeper breaths. This helps to improve lung function, trigger the body`s relaxation response and increase the amount of oxygen available to the body. MOBILITY: Prenatal yoga helps to maintain a supple body, maintaining range of movement and reducing aches and pains. IMPROVED CIRCULATION: Yoga helps to improve circulation and, as a resultof various poses, more efficiently moves oxygenated blood to the body`s cells. INNER PEACE: The meditative aspects of yoga help many to reach a deeper, more spiritual and more satisfying place in their lives.